Looking for film books? Biblio.co.nz hosts hundreds of of the finest online book stores and booksellers, including specialists in film. Use the list below to locate a specific specialist bookseller or book store near you. Or, use the form below to search the inventory of all booksellers who specialize in film. Telephone number +44 (0)7903 092702 Birdman of Alcatraz to Birdland, American Psycho to P G Wodehouse, we present modern first editions and inspirational music and film-related books. 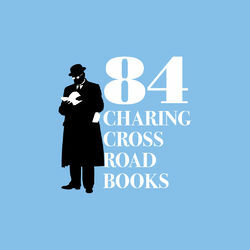 84 Charing Cross Road Books is proud to be a member of the World Book Market Co-operative of booksellers, and is keen to promote its values and ideals to other sellers. We have over 8 years of Internet-based bookselling experience, having maintained 100% feedback levels on Amazon UK and other prime selling sites during this time. We have particularly strong holdings in film and the visual arts; European literature; Beat/underground philosophy and fiction; jazz and classical music, and are always keen to expand our range of out of print titles in these areas. The best in entertainment biographies, film scripts, TV books, and autobiographies of your favorite stars. I sell fine, rare and out of print film books, film posters, stills and other film memorabilia. Also books in animation, Disney, photograph gay and African American material, graphic design, fiction, detective and mysteries, screenplays and much more. Hi. Thanks for looking at my storefront. I have been a bookseller since 1981 . 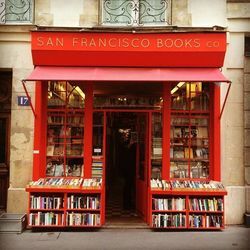 I have worked for such national and local New York booksellers as Barnes and Noble, Marboro Books (B&N's mail order division) , Shakespeare and Company, The Mysterious Bookshop, Cooper Square Books, and Bookazine Wholesalers. I have also been a sales representative for a number of small book presses. MAB Books is owned and operated deep in the heart of Texas. We conduct an online presence and store our inventory in a 2,000 sq. ft. warehouse. Paul Deblinger, Bookseller specializes in literary fiction and non-fiction, firste ditions, art, photography, film travel, biography, creative non-fiction, literary history and criticism. Books are selected for condition and quality. Pistil Books started in 1993 as a retail store. We are now operating completely online. We carry books in all fields, with an emphasis on scholarly non-fiction titles. Quick service. Foreign orders. 24 hour response. Accurate descriptions, Excellent packaging. New titles added daily. Rarities specializes in photos, prints and art and photography books. We also offer vintage oddities. Also specializing in: Art Film History Photography Vintage Popular Lit. The Brother In Elysium Books is an open storefront located in Tivoli, New York. We specialize in used and out of print books, with a focus in poetry, literature, art, photography, film, and design. The space is also home to The Brother In Elysium publishing imprint and letterpress studio. Books listed here are only a small portion of our inventory. We are always interested in buying small or large collections. Since 2003, Wado Books continues to provide high quality books for lifelong learners and voracious readers.